Mr. Safir currently serves as Chairman and Chief Executive Officer (CEO) of Vigilant Resources International (VRI). Mr. Safir retired from the public sector as New York City’s 39th Police Commissioner. Mr. Safir began his career in law enforcement in 1965 as a Special Agent assigned to the New York office of the Federal Bureau of Narcotics, a forerunner of the Drug Enforcement Administration (DEA). He advanced through the ranks of the DEA and was appointed Assistant Director. Mr. Safir also served as the Chief of the Witness Security Division in the U.S. Marshals Service. In 1984, he was named the Associate Director for Operations in the U.S. Marshals Service. He served in that role until he retired from the federal government in 1990. Mr. Safir returned to government service in 1994 when New York Mayor Giuliani asked him to serve as New York City’s 29th Fire Commissioner. In 1996, he became the New York City Police Commissioner, leading the city to record low crime rates. 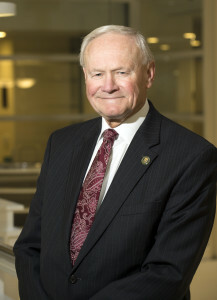 Mr. Safir received numerous awards and commendations for his public service, including the Attorney General’s Award and the Presidential Award for Meritorious Service (twice). In his private sector career, Mr. Safir has continued to help municipalities, states, countries and private sector organizations implement effective security, policing and compliant environments of the highest integrity. Mr. Safir has also overseen dozens of investigations of fraud, theft, regulatory violation and other malfeasant activity, many of which have led to the recovery of significant monies, favorable litigation outcomes and the implementation of remedial measures to improve integrity and performance. Mr. Safir serves as a board member of Verint Systems, St. Barnabas Hospital and as a member of The Independent Commission on the Future of Policing in the United Kingdom. Prior to founding VRI, Mr. Safir was Chairman and CEO of SafirRosetti and CEO of Bode Technology Group, the largest private DNA forensic laboratory in the country.